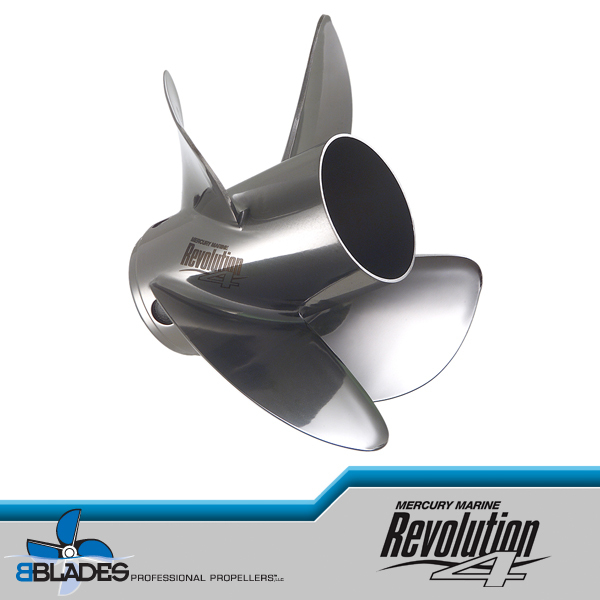 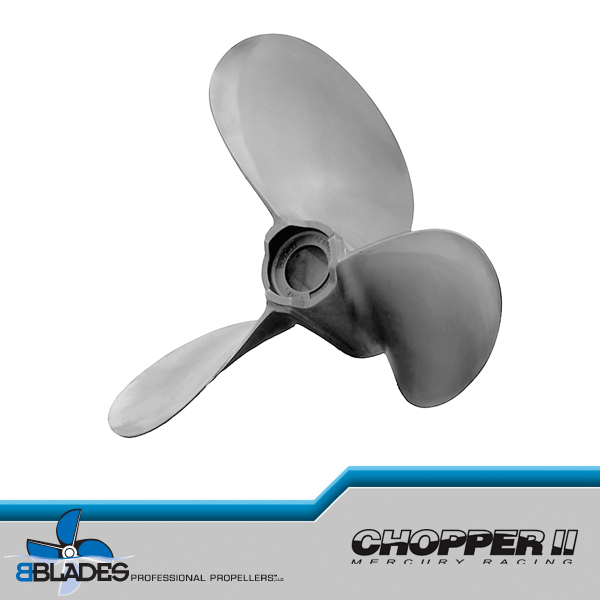 Designed for speed performance, enhances bow lift, possible higher engine heights, for use on performance vee-botton and air entrapment hulls. 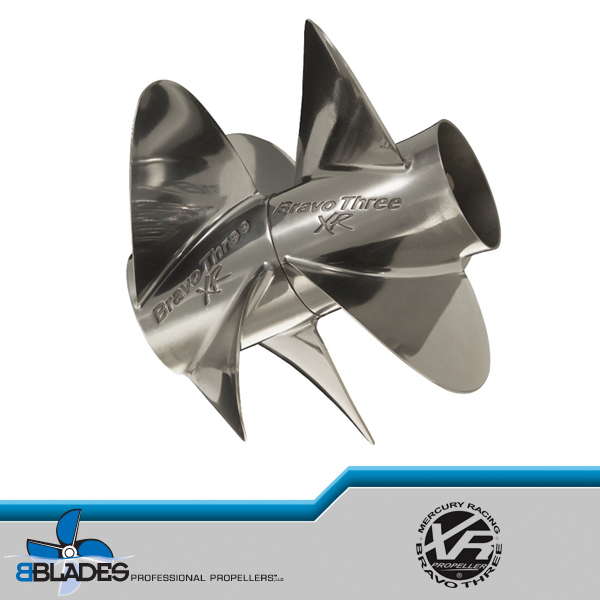 Made from the X7 stainless steel alloy. 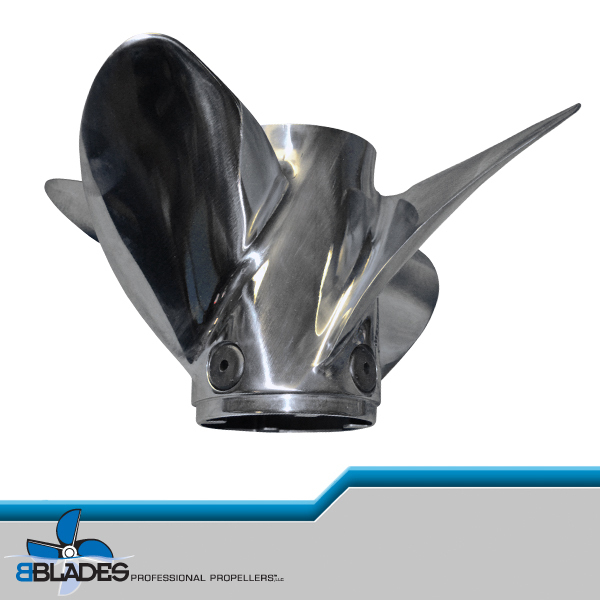 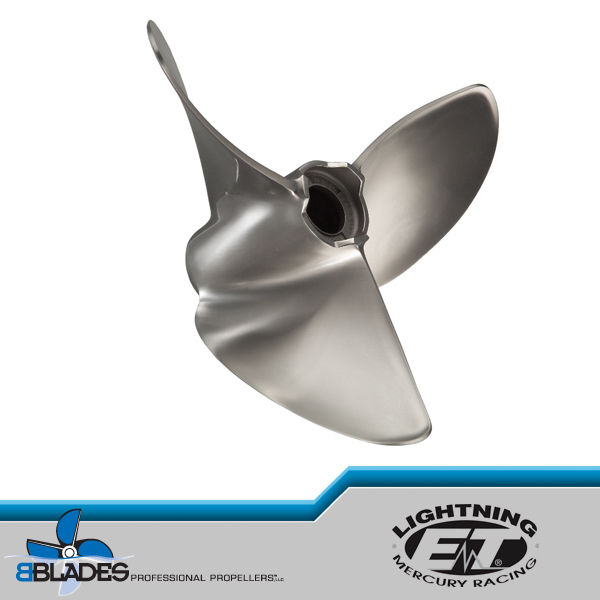 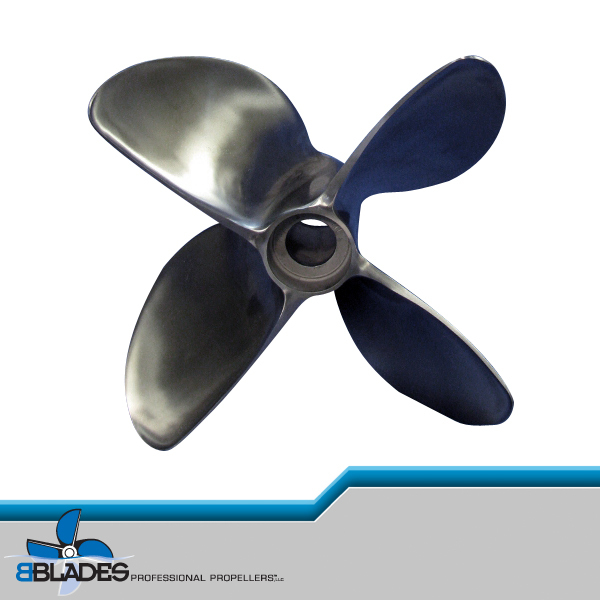 Check trim tab for propeller clearance. 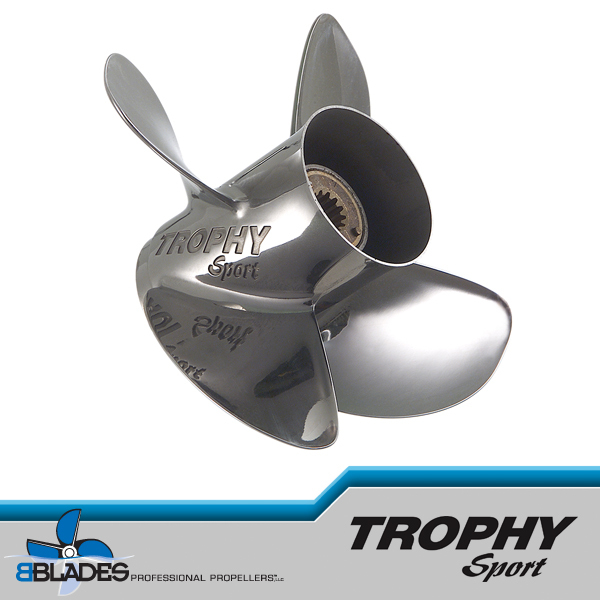 Pro Finished has a polished appearance with durable leading edges, robust blade thickness, tuned cup height and zero balanced. 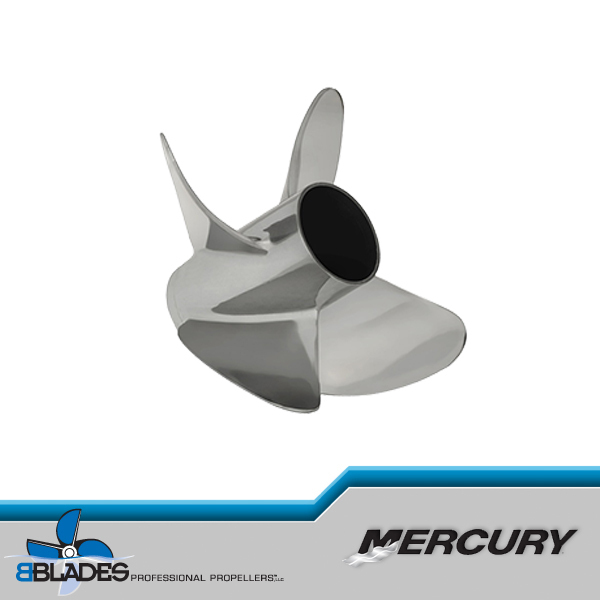 Lab Finished has a satin appearance, crisp leading edge, thinned blades, tuned cup height and zero balance (expect to gain 150 RPM over the Pro Finished, pitch for pitch). 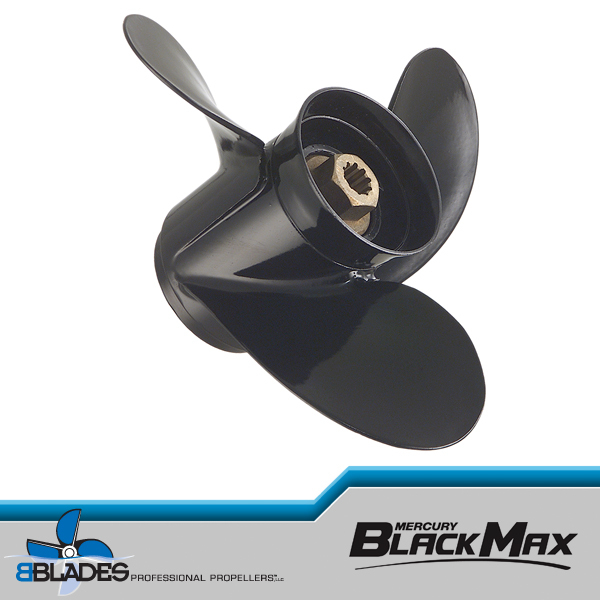 Hub kit not included, please order separately: 835258K1 for 1 inch hub kit; 840389K06 for 1.25 inch hub kit.